Healthcare delivery in the United States is on the cusp of major change, and many experts believe how healthcare is provided and paid for will be significantly different in the next decade. Hopefully, the changes will result in higher quality care, lower costs and better health for our citizens. However, the realization of that "triple aim" — as the three goals are collectively referred to — depends on the ability of healthcare organizations to successfully adapt their business models to meet this aim. Because the degree of change required of healthcare organizations, many leaders are uncertain of how to best confront this challenge and choose to introduce changes to their organizations slowly. However, the most successful organizations across many industries often arise because of their ability to introduce disruptive innovation; the same holds true for healthcare — especially in countries outside the U.S. In fact, there is a great deal U.S. healthcare executives can learn about how to confront their current challenges by looking at the delivery of healthcare services outside the U.S., says Regina E. Herzlinger, PhD, the Nancy McPherson professor of business administration at the Harvard Business School and faculty co-chair of HBS' Business Innovations in Global Health Care executive education program. The inaugural session of the program will be held June 26-29, 2013 at the HBS campus in Boston. 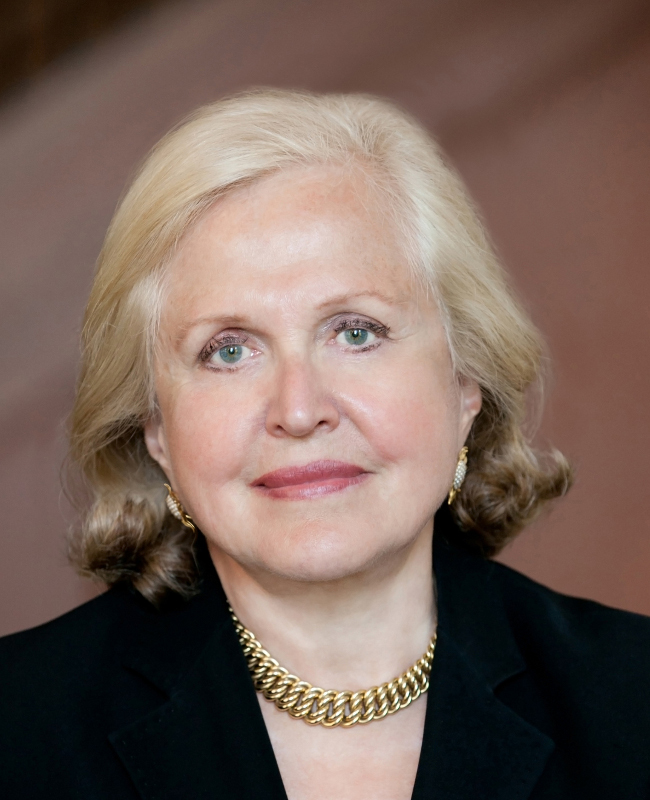 Dr. Herzlinger, an international healthcare expert who coined the term "consumer-driven healthcare," and the first woman to be tenured at HBS, noticed that the number of healthcare business cases she was developing for her Innovating in Health Care courses based on companies located outside the U.S. was on the rise. There was all this great information available on how healthcare companies around the world had successfully adapted to business challenges, but she and her colleagues realized that many healthcare executives were unaware of these stories. So, they launched the executive education program to create a forum where healthcare leaders from around the world could come together to learn from each other and bring innovation back to their businesses. Here, Dr. Herzlinger discusses the new program and her views on how the challenges facing U.S. healthcare can best be approached. Question: What are some of the things U.S. health system executives might learn from exposure to a more global perspective on healthcare delivery and innovation? Dr. Regina Herzlinger: There are a lot of lessons to be learned, and key is that necessity is mother of invention. For example, in Brazil, Russia, India and China, there is a great demand for healthcare but there is hardly any supply. Brazil, Russia and China have universal coverage, but anybody that can afford it buys their own because the public system does not meet their needs. In these countries, they built up a [private] healthcare system quickly because people wanted it, but the countries can't stand as much as America does on per capita spending for healthcare. As a result, they've come up with great, efficient ways to deliver healthcare. In the U.S., healthcare has at most two years experience in operating models that aim to produce demonstrable better financial and outcomes data at a fixed price, except for Kaiser. In other countries, this isn't the case. For example, some cancer care in India is delivered in a hub and spoke model. At the hub, they use proton beams and very advanced radiotherapy/surgical techniques for treating cancer. The spokes are the cancer centers out in the community where they do chemotherapy, radiation and rehabilitation. Anything you can do locally should be done locally. You don't need a PhD in economics to figure out this model is a lot cheaper and probably a lot more convenient for patients. In Africa [Discovery Health's] Vitality wellness program pays individuals for demonstrably adhering to wellness and self-care protocols, and they've shown tremendous reductions in the occurrence of chronic diseases. Q: Have other countries successfully adapted to this current shift we're seeing from fee-for-service to value-based and capitated financing? If so, how did the organizations in those countries adapt their business models? RH: Brazil, for example, is way ahead of us when it comes to managed models with Amil, a Brazilian accountable care organization, which provides coverage and owns its own healthcare facilities, and offers a variety of products with various levels of cost and provider choice. That's probably why UnitedHealth bought them [in October 2012 for $4.9 billion]. There are a million details that make it a very impressive organization — how they train people, how they measure people, for instance. Q: You have long been a proponent of consumer-directed care. Are consumer-driven healthcare and managed care healthcare mutually exclusive? If not, how do they fit together? RH: While Brazil, China and Russia have universal coverage, India doesn't have anything, and it, and the large private insurance sectors elsewhere, are really consumer driven. The consumers there pay for their own health insurance. A lot of the innovations that reduce cost — including managed care — come out of the consumer-driven environment. Indians are probably most notable for this. For example, they're the largest users of telemedicine. In the BRIC countries, and also in Africa, where consumers are purchasing insurance, that's where we first saw high-deductible plans and policies that pay people for wellness. I view these as innovations that respond to people's aims for lower-cost care. If you're very determined to take care of yourself, why not buy insurance that pays you for wellness? There's a lot of variety [of coverage], and people are looking for different things. Whatever they buy must be a good value for the money, which is what you would expect in a consumer market. Q: What do you think the healthcare delivery in the U.S. will look like in 10 years? RH: I think we'll see more narrow networks, but not in the way people typically define them as providing a broad range of care. Instead, we'll see networks that focus on specific diseases/disabilities. What people really want is what I call focused factories. You select a network based on your specific needs. So, if you have congestive heart failure, you select coverage that provides access to a network that focuses just on being great at treating CHF and all its many comorbidities — more than 30 common ones. The network would include cardiologists, but also nephrologists and specialists for adrenal diseases as well as social workers and psychologists. If I have breast cancer, I select a breast cancer network that offers medical oncology, radiology and surgery. That ensures that if I get a mastectomy, it is because the specialists jointly decided that that was the best treatment, and not because the surgeon was incentivized to do surgery. Q: How would that work, though, if you are healthy and then receive a diagnosis that would lead you to want to receive care at one of these focused factories? RH: Healthier people would sign up for coverage in whatever model they preferred — a high-deductible plan, managed ACO, PPO, whatever. And then, the next time around, when they are diagnosed with a disease/disability, they could buy coverage that has a narrow network with access to all the providers needed to treat the disease. One of my many worries for ACOs is how can you be accountable if you do everything for everybody? On the other hand, if all you do is breast cancer, you can more readily measure your outcomes. Q: You mentioned that a consumer would demand care from a center that offered multidisciplinary perspectives so that she could ensure the advice she received wasn't due to some incentive the physician had. As someone working in healthcare, I can understand the benefits of that, but do you really think the average consumer will think that way? RH: In markets, typically the way change happens is that first you have early adopters, which represent about 7 percent of people, who are the first to accept a technology. For example, when the iPhone first came out, they were the very first people to buy one. Then come the next 34 percent, and so on. Pretty soon everyone has a smart phone of some sort. It takes time for markets to develop, but it's the 7 percent that start the process. Are 7 percent of people smart enough to prefer this type of healthcare? Absolutely.